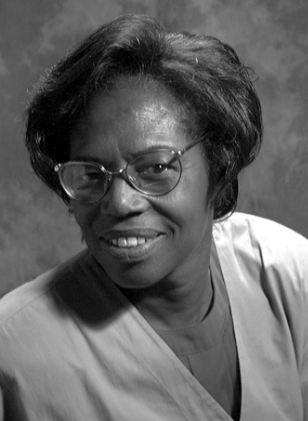 An accomplished organic analytical chemist, Dr. Betty Wright Harris is widely recognized as a leading expert on explosives, environmental remediation, and hazardous waste treatment. In 1986, she patented a simple and extremely sensitive spot test for the presence of 1,3,5-triamino-2,4,6-trinitrobenzene (TATB). Her innovation allowed the military and private industry to quickly ascertain the presence of potentially explosive material. The federal Department of Homeland Security also uses the test to screen for nitroaromatic explosives. Born on July 29, 1940, in rural northeastern Louisiana, Wright was the seventh of twelve children. Her parents, Legertha Thompson Wright and Henry Hudson “Jake” Wright, farmed land near the Ouachita River, first as tenants, then as owners, purchasing their own property when Harris was in middle school. Legertha Thompson also taught school, encouraging her children to work hard and pursue an education. A precocious student, Harris began college at the age of 16, receiving her B.S. in chemistry, with a minor in Mathematics, from Southern University in 1961. She then earned an M.S. in chemistry from Atlanta University in Georgia in 1963. For the next decade, she taught chemistry and mathematics at the college level, securing positions at Mississippi Valley State University and Southern University. She also completed doctoral work at the University of Wisconsin at Milwaukee. After a brief stint with IBM, Harris accepted an offer to work at the Los Alamos National Laboratory (LANL) in New Mexico as a visiting staff member. There, she would begin to specialize in the study of explosives and nuclear weapons, developing expertise in a variety of areas, including the cleanup of hazardous materials and environmental restoration. While working an LANL, Harris also continued her academic studies, completing a Ph.D. in Chemistry at the University of New Mexico in 1973. The findings of her dissertation, “Reactions of 2-Aminopyridine with Picryl Halides,” were later published in The Journal of Heterocyclic Chemistry. Over the course of her career at LANL, Harris assumed more and more managerial responsibilities. Her expertise in the chemistry of explosives increased, ultimately leading to her invention of the TATB spot test (U.S. Patent 4,618,452). She also grew more interested in recruiting women and people of color to become scientists, establishing, for example, a summer program for promising high school students. She also created a chemistry badge for the Girl Scouts and participated in making a CD-ROM titled Telling Our Stories: Women in Science for Mclean Media. Following her retirement from LANL in 2002, Harris worked at the U.S. Department of Energy Office of Classification as a certified document reviewer. This agency determines whether documents should remain classified or be released to the public. Harris had long held a “Q” clearance, which allowed her to see items with Restricted Data. Harris has been a member of the American Chemical Society for five decades. She is also a member of Women in Science and Engineering and the American Society for the Advancement of Science. She served as President of the New Mexico Business and Professional Women’s Organization and, in 1999, received a governor’s award for Outstanding New Mexico Women. Harris’ marriage to Alloyd A. Harris ended in divorce. The couple has three adult children, as well as several grandchildren and great-grandchildren. “High Tech Jobs in the Southwest,” U.S. Black Engineer Magazine 10, no. 4 (Fall 1986) 44 – 45; Jeanette Brown, “Betty Wright Harris,” in African American Women Chemists (Oxford: Oxford University Press, 2011), 100 – 107; James Henry Williams, “Betty Wright Harris,” in African American Inventors and Pioneers (Bloomington, IN. : Exlibris, 2011), 33.